Go to Vangani station (central railway). Take the back-side exit (towards CST). Take the small road and reach highway. You can now see another road on the opposite side leading to the village. Cross the highway and keep walking along the straight road. After reaching the village anyone can guide you from there. Nakhind trek is much similar to Chanderi trek with long approach route to the base and then the actual trekking trail. 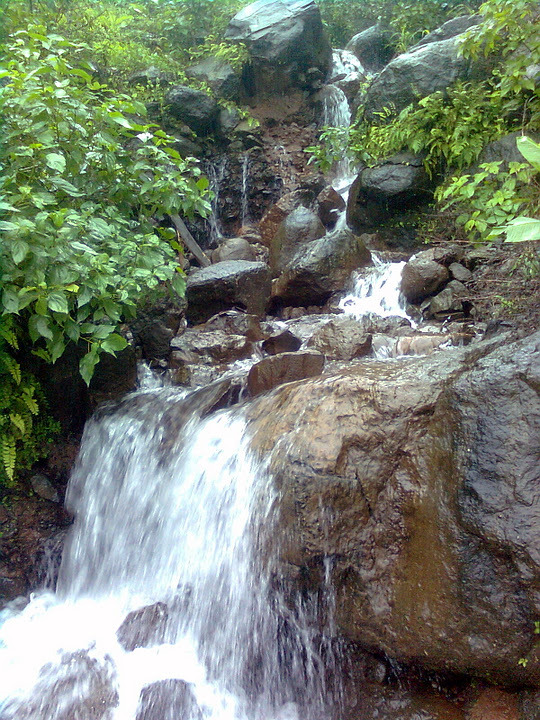 Every monsoon sees the formation of a waterfall, which is a perfect hangout for picnickers and those who don't like trekking. The dirt track to the base is surrounded by paddy fields and fascinating landscapes. 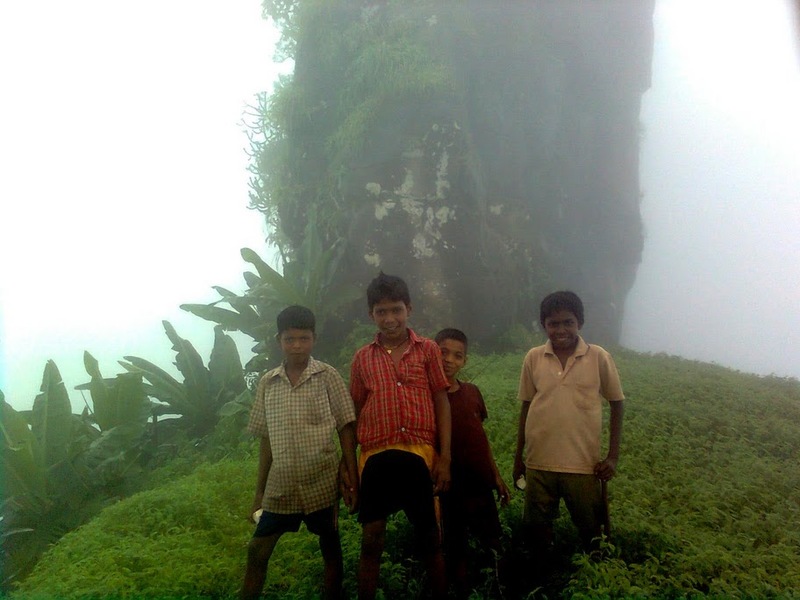 A 3-4 km walk brought us to a small village.The trek starts from that point onwards.We never got a chance to see the hill from the base, it was engulfed in fog all the time, and the rains made sure the this situation continued. 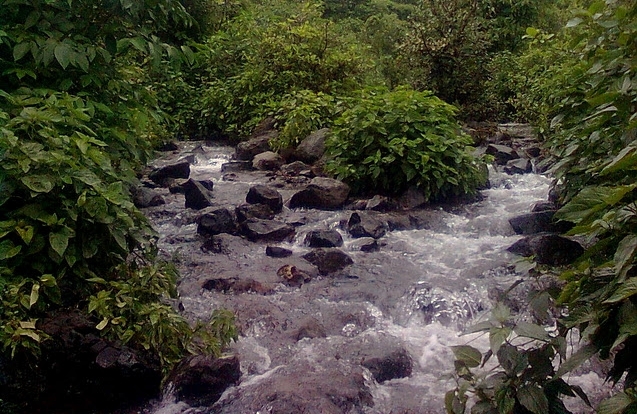 On our way we came across many streams and rivulets. Don't try to protect your shoes from getting wet, as anyway they are going to get more than wet. What awaited us was a wide, knee deep water channel .It was fun crossing this brook ,slipping on small stones and falling in the water; and getting out of water, fully soaking wet, and same time for the wind to blow hard enough to make u shiver !! 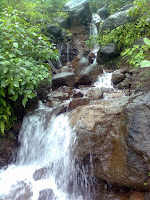 U'll get to see another tiny brook, which transforms into a mini waterfall every monsoon .It was so very tempting that every one had enough fun under it, and that actually help to restore our energy to climb the final steep slope. This slope will directly take u to the top. 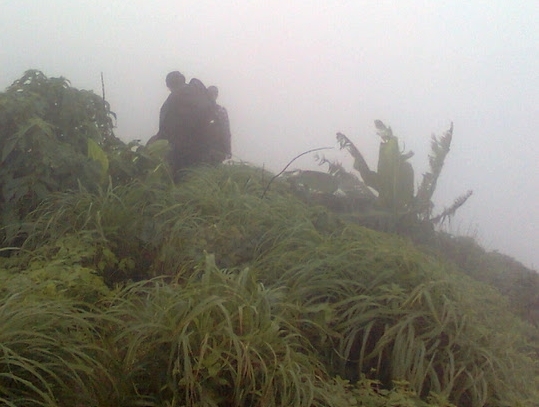 After reaching the top one needs to traverse along the mountain ridge to reach the final destination. Walking on this ridge, with deep valley on both sides and the trail lost in fog was a thrilling experience. The trail ends near a huge pinnacle like rock. From this rock a left turn and a few steps took us to this alluring form of nature. 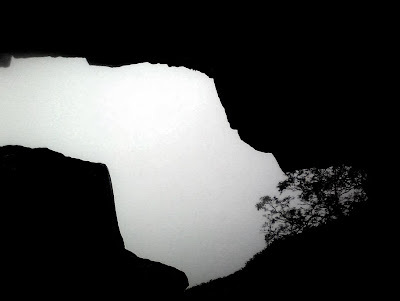 A hole right thru mountain!! Actually the space at the top is very less and it can accommodate some 8-9 people at a time; and the same reason being I couldn't capture the whole of the 'gaping' in my NOKIA 2700. 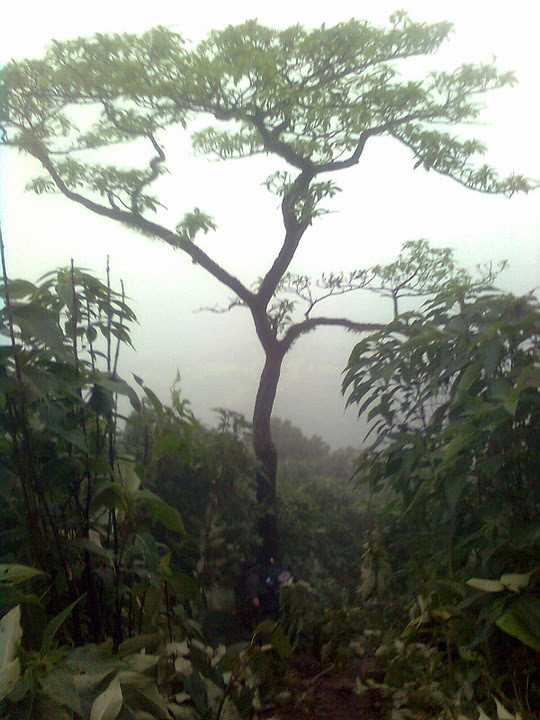 The fog completely restricted the visibility, otherwise we could have got a stunning sight of forts of Matheran range. 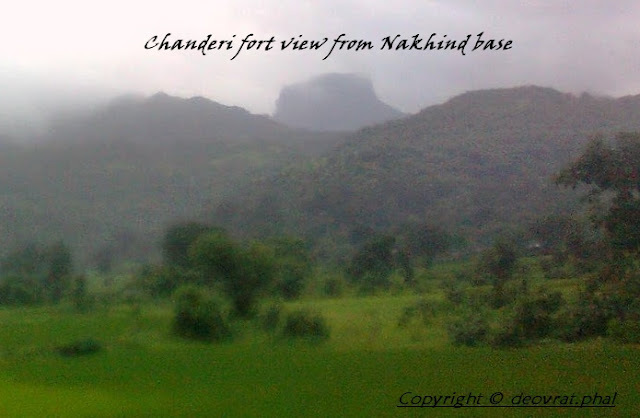 Nakhind is perfect for one-day trekking destination. I would recommend taking a guide with you if you are not confident with the route. This visit was planned with my father (Dilip Phal) and his friends.